In a queue to pay for fuel at a service station in Sydney’s Woolooware, Dr Angie Lang spotted gum on the counter in a moment that would change her life. It was a moment when her potential as a dental innovator providing for oral health beyond the regime of daily practice finally began to be realised. She bought the gum, threw it on the passenger seat and drove home, declaring to her husband, “This is not happening again”. What Dr Lang had been reminded of was the lapse of a patent she had taken out in 2004, on a formula for chewing gum containing ingredients that stimulated oral health. Back then, one day after her patent was lodged, a global gum manufacturer applied for a patent for the same idea. And, for a brief period, the patent office had to arbitrate between the two applications. Eventually, though, Dr Lang’s application won out. Dr Lang’s chewing gum idea grew from seeing patients present to her surgery with interproximal decay caused by sugar. And she knew chewing gum containing sugar was a major cause. Allowing the original patent for the gum to lapse was a setback, but she decided it was just a matter of looking for other sugar sources of tooth decay. This was 2009, when the paradigm shift that was occurring away from sugary drinks included Coca-Cola’s introduction of Vitaminwater. Dr Lang notes that the company was defending its product against an accusation that Vitaminwater was misleading under the Nutrition Labeling and Education Act. Dr Lang remembers well the now famous retort counsel for Coca-Cola employed by arguing that “no consumer could reasonably be misled into thinking Vitaminwater was a healthy beverage”. She points to the fact that drinks, historically, have always relied on additives with health claims, including cocaine in the original coke when it was marketed as a ‘medicinal tonic’, and the atomic mass of 7 reputedly denoting lithium to stabilise moods which was once added to 7Up. Dr Lang counselled patients to prevent dental damage caused by drinks that have sugar and are acidic because they promote bacteria and demineralise the apatite of enamel crystal. She investigated ready-to-drink alternatives but found nothing in a bottle that she could recommend as a substitute. Most bottled water, she says, has a pH in the acidic range. Dr Lang decided to develop a drink she could recommend to patients by thoroughly reviewing literature on research into the decay and erosion of tooth enamel. She sourced funds to pay for intellectual product and trademarking costs by selling her practice in Cronulla and her Sydney home. In Los Angeles she signed with a beverage company that had lab facilities that she could use. 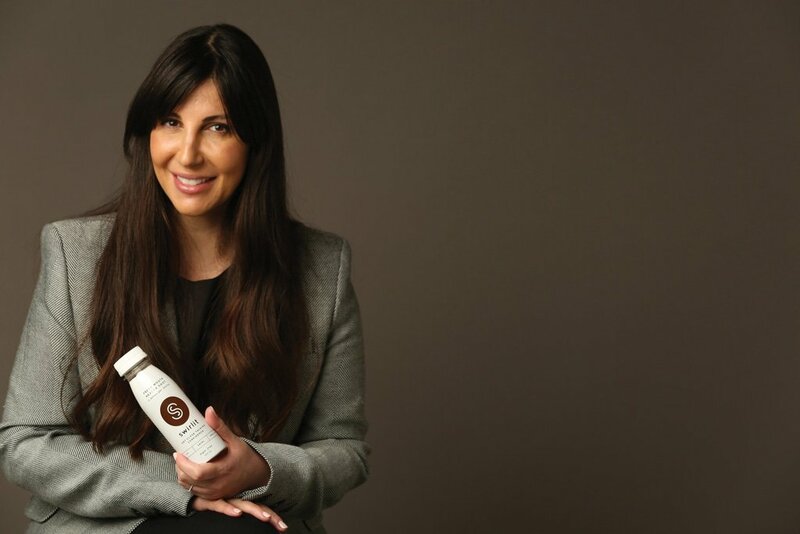 Her product, now known as Swirlit, contains xylitol and erythritol, which are both derived from plants and are known for anti-cariogenic action, along with the polyphenols in grape seed extract and green tea, which have anti-oxidant and anti-bacterial properties, among other ingredients that benefit oral health. The path to innovation began for Dr Knapp when he first met Professor Barrie Gillings 25 years ago. “He had a column called ‘Clinical Hints’ that originally operated as a forum for ideas in the Australian Dental Association’s newsletter. I wrote to him with contributions and we got to know each other,” Dr Knapp recalls. He describes Professor Gillings as the “ultimate tinkerer”. He remembers the development of PlaqPro as an exchange of ideas between the two men where, originally, Professor Gillings replaced erythrosin with fluorescein in the solution applied to teeth to highlight plaque—thus eliminating the problem erythrosin has of leaving stains on gums and, potentially, clothing. Professor Gillings sent Dr Knapp an electric toothbrush he had reconfigured installing a UV LED light to highlight the plaque. At this point, Dr Knapp realised that to complement the brush he needed to put the fluorescein solution into toothpaste. 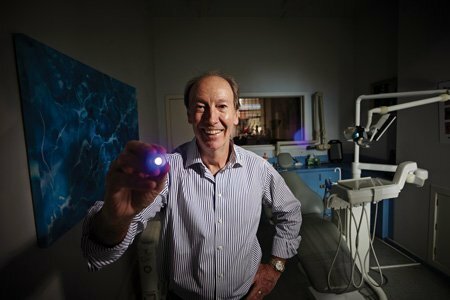 The subsequent product—a toothbrush and torch system—was then commercialised by partnering with Dentalife in Melbourne. At this point, Dentalife made the decision to pass distribution to Erskine Oral Care and change the name to Plaque Glo. “Erskine is an international company and the product should complement its Pikster range,” explains Dr Knapp.